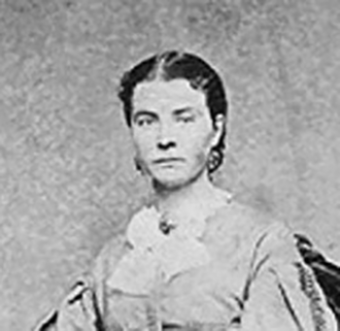 Elizabeth “Long Liz” Stride was born in Sweden. Her marriage to John Stride had ended by 1881, and she entered into a relationship with a laborer that was volatile at best. Over the years, her drinking problem worsened, and she turned to prostitution to survive. She told prospective clients that her husband and children died in 1878 when the Princess Alice sank on the Thames, a lie she hoped would earn her some extra sympathy money. On the last night of her life, Liz Stride was seen with various men around the area. She was last spotted alive, with a flower pinned to her jacket, at 12:30 a.m. by Constable William Smith. She was talking to a young man in a dark overcoat wearing a deerstalker hat. Nothing seemed amiss, so Smith continued on his beat. 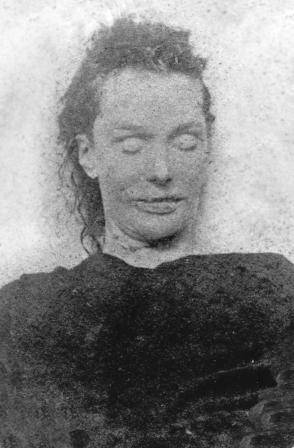 At almost the exact time Liz Stride’s dead body was discovered, Catherine “Kate” Eddowes was being released from the Bishopsgate Police Station in London. She’d been in protective custody since 8:30 p.m. when she passed out in a drunken stupor and could not be roused. Kate Eddowes’ story was like so many other women of her acquaintance- failed relationships, few prospects of earning a living, hard-scramble existence, the descent into alcoholism and ultimately resorting to prostitution to keep a roof over her head. When she came around and assured the officers she could take care of herself, they allowed her to go. At 12:55 a.m. on September 30, they sent her back to the streets of London. She was last spotted at 1:35 a.m. by three men who saw her at the entrance to Church Passage which led to Mitre Square. Just 10 minutes later, PC Edward Watkins, who had passed the area recently on his beat, found her horrifically butchered body. The Ripper released more fury on Eddowes than any of his other victims to date. Her throat was cut in his signature style, and she was disemboweled like Nichols and Chapman before her. But in Eddowes’s case, her intestines had been placed over her right shoulder, and about two feet of her bowels had been removed altogether and positioned between her body and left arm. He also slashed her face, removed most of her uterus, and took one of her kidneys. Some Ripperologists maintain the only authentic letter from Jack the Ripper to the London Police was the one containing Eddowes’ kidney. Additionally, while the other victims had been cut in a more precise manner, Kate’s wounds were more erratic and jagged. Almost as if Ripper was in a frenzy. In contrast, as mentioned, Liz Stride “only” had her throat slit, perhaps because Ripper was interrupted. We’ll never know.